Terrace Place Senior Living: Independent Living, Assisted Living, Short Term Stay, Hospice. Enjoy a greater peace of mind. At Terrace Place, our residents receive compassionate care and help with their daily routine. We develop individual care plans to meet the needs of each resident, and a full-time registered nurse is available 24 hours a day to provide clinical oversight and coordination of care. 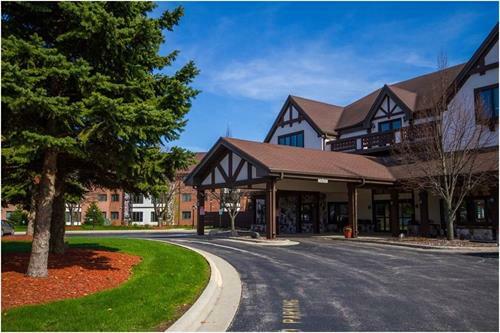 Residents in our Pet-Friendly community can keep up with hobbies or discover new ones; we offer a variety of activities, such as cooking classes, woodworking shops, painting classes, arts and crafts, church services, book club, bingo, men's group, happy hour, and themed dinners. We go grocery shopping and attend local theaters, enjoy picnics and ice cream outings. We offer a podiatrist on site every month and our residents can receive massage therapy upon request. At Terrace Place you will enjoy a lifestyle allowing for more time to do the things you love.Live Life on Your Own Terms, Leave the Cooking to a Chef, Wellness Support when Needed. 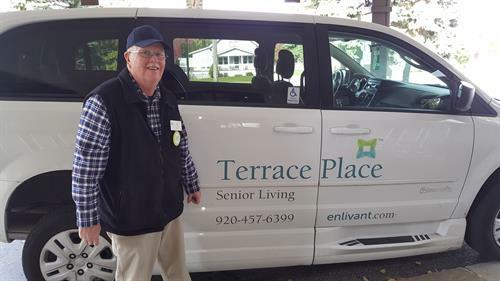 It is a GREAT day at Terrace Place Senior Living!